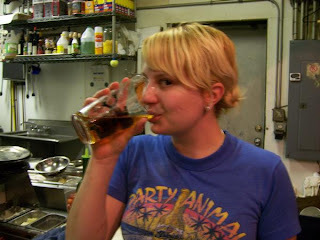 Oh what a blessed day for food lovers - Today marks the birth of rock star chef Nicole Burrows! From vegan pastry culinary student in Manhattan to sous chef in Louisville to cooking instructor to the stars at a Tucson resort to head chef at fine vegetarian institution Carmelita in Seattle, Nicole has not only made an reputable name for herself nation-wide, but also made one of her oldest friends incredibly proud. 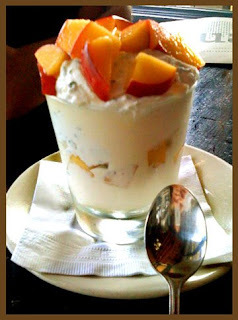 I don't need to tell you how talented this woman is, salivate over this recent menu she created at Carmelita. Anyone for a Duo of Ice Cream Sandwiches? (blackberry-mascarpone ice cream, pistachio-orange cookie / lemon curd ice cream, ginger-pine nut cookie). YUM! Note to self: Open a restaurant with Nicole in the next 5 years. Check out my favorite blogger Catherine's interview at a fly on the wall to learn more about Nicole and her craft. One of the most intensely nostalgic flavors for me, one which I tasted the other night for the first time since college days, is the delicious and brilliant Eugene-native concoction now widely known as the Richmond Gimlet. Coddled into ageless grandeur by superstar NW mixologist and bartender extraordinaire Jeffrey Morgenthaler, the Richmond Gimlet was pretty much invented before my eyes one lazy summer in Eugene, late nights at the hidden treasure that was the traincar-narrow bar tucked in the back of Bamboo restuarant. After brutal shifts at Marché around the corner, manager Daniel Richmond and I would park in Morgenthaler's bar and let him pick the drink. Daniel's picky nature and Jeffrey's drive to impress and perfect led to the simple and elegant marriage of fresh ingredients that make up this refreshing cocktail. 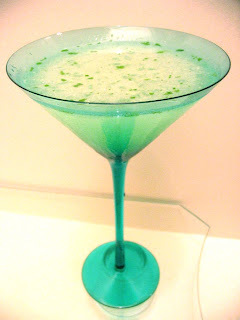 Not too sweet, not too sour, not too stiff - The Ricmond Gimlet truly is a definitive cocktail and modern classic. The herbaceousness of the Tanqueray No. 10 gin, hint of fresh mint and fresh-squeezed lime will win you over too.. Just follow these simple but important steps. Shake ingredients well over ice and strain into a chilled 9-ounce (at least) cocktail glass. 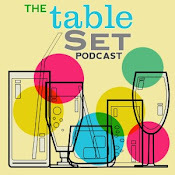 Be sure to check out Morgenthaler's wicked website of all-things-wet, where you will find many more genius recipes, advice and forums like "How To Make Tonic Water", "How to Make an Angostura-Scorched Pisco Sour " and "How NOT To Make A Mint Julip". The Taco may have won round one, but this is surely only the first battle. 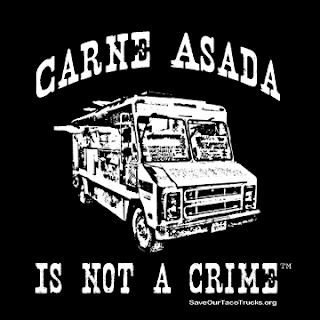 Get and wear your Carne Asada Is Not A Crime t-shirt proudly, write your county supervisors and urge them to stop legislating against street food, and keep up with Aaron and Chris' updates at saveourtacotrucks.org. on the last leg of their epic 3 week left coast road-adventure. 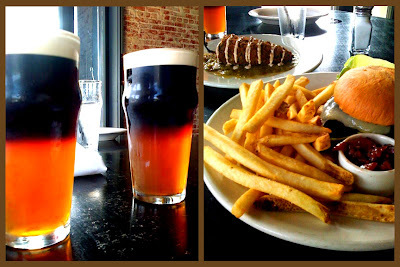 We were to head down the coast to wine-taste in Cambria, but first spent a day in the City. 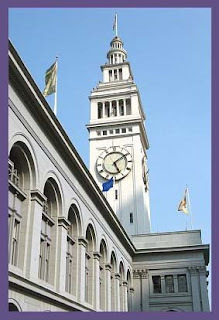 As an epicurian-minded clan, we headed almost immediately to the Ferry Building Marketplace at One Embarcadero. I pretty much fell in love instantly with this hedonistic preciously-curated covered boulevard of shoppes housing artisan bakers, butchers, foragers, fromagers, growers, and pâtissiers. The first treasures to catch my eye were the hyper-perfect princess cakes, petifores and Parisian macaroons in the shiny case at Miette. I sampled a rose geranium macaroon that was light and soft, chewy, not overly sweet and appropriately floral. It was one of the most delicious goodies I've tasted in ages.. Until of course the chocolate sea salt caramel which was equally winsome. I lost my family a couple doors down to the bustling Cowgirl Creamery. Familiar with their handiwork from my days schlepping high-end cheese plates to the bourgeois, I was quick to jump in line, admiring the wide selection of sheep, cow and goat milk varietals that the casual yet knowledgable fromagers were discussing with overwhelmed customers. While gently guiding us to the right selections they were not shy with the samples, which helped ensure we were getting exactly what we wanted. The delicious award-winning Red Hawk was my favorite, a triple cream full-flavored cow's milk cheese, as well as the rich gouda-like St. George. Cowgirl Creamery is based in the bay, but their cheeses are available on their website which also houses an impressive Library of Cheese. Realizing that a farm-fresh picnic was in our near future, we moved down to Acme Bread Company for an oven-fresh sourdough baguette, and then next to the well-designed Boccalone salumeria, unapologetically boasting "tasty salted pig parts". Salumi has become one of my latest fave meats, so I was excited to take home an elegantly-wrapped link of the cured Brown Sugar and Fennel Salame. We also had the butcher carve a variety pack fresh for our picnic, including Capocollo, Prosciutto, Salame Pepato and Orange & Wild Fennel Salame. YUM! On our way back around we couldn't help but admire the wide (and colorful) selection of fresh mushrooms on display outside of Farwest Fungi. But what really blew my mind was the sign urging browsers to sample a raw "Sea Bean".. which looked somewhere between haricot vert and stick coral. It has a jicama crisp and tastes like a mouthful of oceanwater raw. Still, and interesting foray..
As we walked back out into the sunshine and sea air, stroller loaded high with fresh goodies and wine country next on our minds, I could tell this was going to be a lovely little weekend escape. Also translated as "My Favorite Meal", Steak Frites is quite simply the French interpretation of the divine union of steak and potato. As I worked as a waiter during college I was a strict vegetarian, despite the world-class grass-fed beef, free-range chicken and wild Chinook salmon I served.. But it was one weak after-lunch-shift staff meal that my dwindling body said sternly to my brain "today you are going to have the steak frites the kitchen is so graciously offering to you and damn it you are going to ENJOY them." My body ultimately knew what it wanted, and rewarded me with the most enjoyable meal of my life thus far. Hence Marché set the standard for all Steak Frites to come, which is not easy to beat. 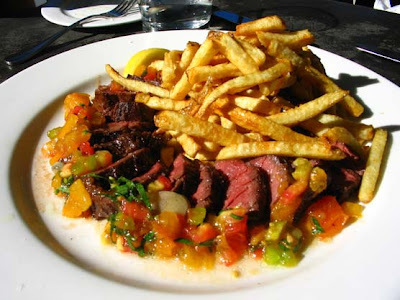 A close contender however is the steak frites plate on the bar menu at my other alma mater Bluehour in the Pearl District of Portland, seasonally adapted, pictured here composed with freshly chopped ripe heirloom tomatoes at peak season. I can still remember the exact flavor of this very plate of food - perfection. I have not dined extensively in the brasseries of Los Angeles, however the best I've had was at Sunset Junction's tucked-away gem Cafe Stella. Even without the truffle-scented frites (also a must), Stella's steak frites still deliver, and leave me with a content comfort that still to this day takes me back to that first day back on the chuckwagon.